The Sri Lanka Port Authority (SLPA) has decided to grant bonus premium without any changes to all the port workers in December 2016. The decision was made during the monthly progress review meeting, based on the advice of Ports and Shipping Minister Arjuna Ranatunga. The Sri Lanka Ports Authority announced that the bonus paid last year as the December premium was Rs.30, 088.00, and that amount would be paid this year as well. At the progress review meeting it was emphasized that the productivity of port workers was enhanced to a large extent and Minister Ranatunga said the decision was made to appreciate the performance of the port workers this year. “At this meeting we identified that the Trincomalee harbour has been earning profits for the first time in the recent time. We also recognized that annual profit of the Galle Port has doubled. We have enhanced the productivity of the Colombo Port and have also been able to solve the conflicts of the workers to a great extent, and provide required facilities to all port workers," the Minister said. 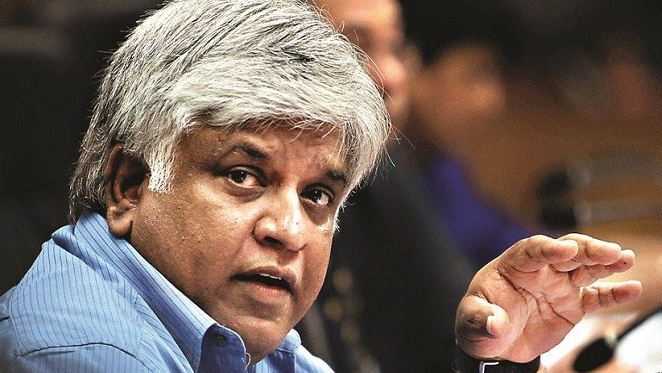 "We decided to pay the bonus because of the commitment and the performance of the workers”, Minister Ranatunga said. Where is the bribery commission, This idiot has no proper high school education. Is this the kind of idiots Sri Lankan needs as politicians. God bless Sri Lanka. DN, if you have guts publish this.